The high cost of the robotic prosthetics makes them prohibitive for many people. 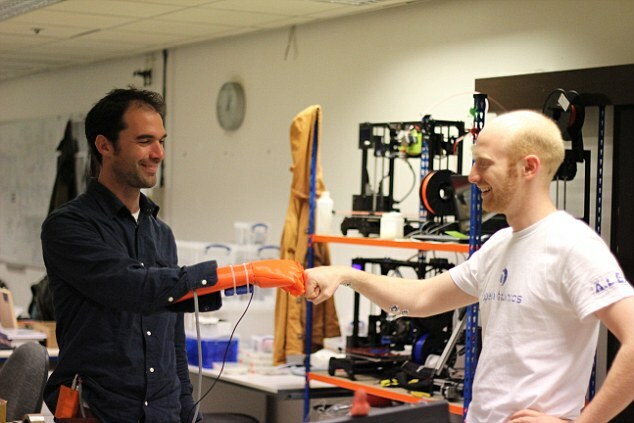 Now a Plymouth based start-up is trying to change that by making a 3D printed robotic hand that is low-cost yet can perform advanced finger movements. Here, the electromyographical sensors are placed on the amputee’s skin to pick the signal for the intended movements. With the advancement in the Robotic hands they are getting more dexterous, flexible and powerful. However, many people cannot use them due to their high costs. Now, a Plymouth based startup Open Bionics wants to change all that by designing an advanced robotic hand that only costs $1,565. Already, the company has the honour of winning the UK leg of James Dyson Award and now it is going to compete the next stage for the global prize with a reward money of $46,965. According to a report about 6,000 people have to undergo surgeries for the major limb amputations in UK alone. The amputees find it difficult to adopt to their new life with the prostheses as often they are quite cumbersome. Another alternative is to use robotic limbs but they are expensive, costing from $5000 to $90000. As a result very few people are able to afford them. Open Bionic has tried to solve this problem by 3D printing this robotic hand that only requires 40 hours to make and costs around $1500. Yet it has many functionalities of the advanced robotic hands. 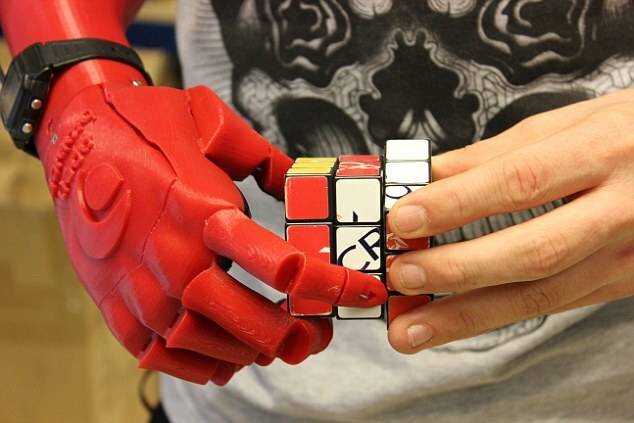 It uses electromyographical sensors to pickup signals from the amputees skin and move the fingers accordingly. 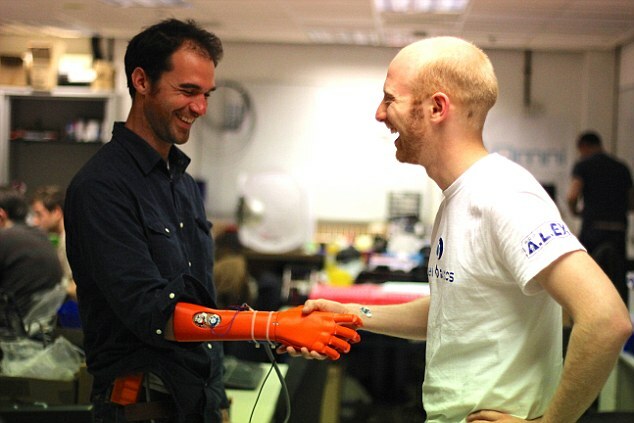 Joel Gibbard who is a young graduate from Plymouth University, is behind the idea and design of this robotic hand. He intends to use his $3000 award to buy a 3D printer that would speed-up the prototyping procedure. He had faced many different challenges during the design but the idea of helping the handicapped kept his passion from sagging. He wants to design and market prostheses that are affordable to everyone. According to James Dyson, although for now the 3D printing has been around for the decades, but the beauty of Joel’s work is to design advanced but at the same time cheaper prostheses for all. Now, for the next stage of Dyson award there are 100 competitors teams out of which 20 would selected on September 17. We are really amazed by this initiative and hope that such devices would improve the quality of life of many people. And you, do you think that cost-effective robotic limbs can improve quality of life of handicapped?